England have announced two U18 and three U20 games in one of the largest programme of age group “tests” for some years. The Talent Development Group (TDG) – England’s U18 development programme - will field a team twice in what will be U18 international games in all but name, taking on their Scottish (“Scottish Futures U18”) and Welsh (“Emerging Wales”) equivalents. The Scottish match will be something of a first, and a further example of the rapid improvement made to the Scottish development programme since Shade Munro’s appointment. The only previous Scottish age group international was their 77-0 defeat to England at U20 level in 2011. The Welsh game repeats last year’s game in Cardiff, which Wales won 26-20. That Welsh age group success was nothing new. An U19 series between the countries was played between 2002 and 2005, most of which were very close, including a Welsh win in 2004 and one draw in the final game played in the series, so another close game can be expected. 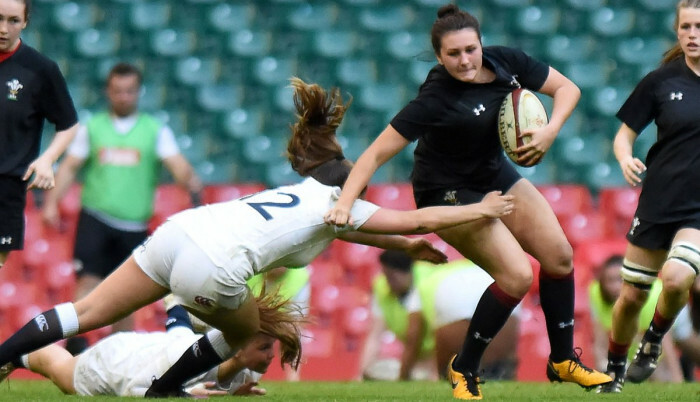 Lead coach for the TDG programme James Cooper said: “The opportunity to play against the Scottish Futures U18 and Emerging Wales Women side is an exciting one for this group. It’s imperative that we continue to create quality playing opportunities for emerging talent as they develop. England’s U20s will play their annual warm-up fixture against the Army at Aldershot on 9th February before they then travel to Strasbourg to take on France on 9th March, hosting the return at Newbury RFC on 16th March. U20 Head Coach Jo Yapp said: “We are really looking forward to playing against the Army. This fixture is always a good test and great development opportunity for these young players ahead of our France fixtures.